"Our processes are optimised to produce custom made goods at scale. This helps us operate efficiently and pass on the cost benefits to the customer," said Dr. Madhukar Gangadi. Within eight months of its formal launch, Hyderabad-based CustomFurnish.com, a vertically integrated eCommerce venture in the furniture and home furnishing space announced that it raised 30 Cr Rupees in a fresh round of funding from Bengaluru-based family office Agnus Capital. This is the second round of funding raised by the furniture e-tailer promoted by Dr. Madhukar Gangadi, Founder of the e-pharmacy, MedPlusmart.com. o3 Capital was the sole advisor for this transaction. At present, the firm offers its services in Hyderabad, and Bengaluru and is planning to expand its presence to the other four metros. The company operates three manufacturing facilities in Hyderabad from where it manufactures kitchen cabinets, wardrobes, sofas and custom curtains. 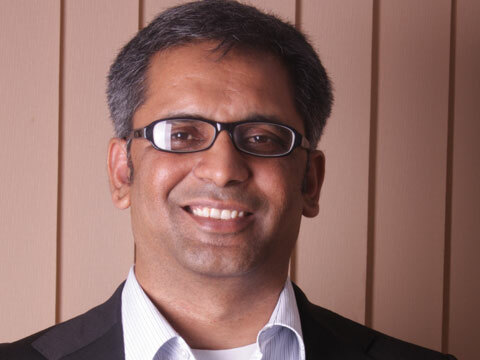 Retailer media spoke to Dr. Madhukar Gangadi, Founder and CEO, CustomFurnish.com about the e-retail customisation as an industry, challenges and the way forward. Cutomfurnish.com has various online designers that help users customise and buy furniture online. You can customise every aspect of your furniture like wardrobe for size, material type, designs, glass type, shutter type, handles, mirrors, interiors space and everything that matters for them. Our kitchen 3D designer allows users to create an ergonomic kitchen as per their layout and visualise the same in real time. Our wardrobe designer allows users to optimise the storage space including custom shelving, drawers, hangers etc. Sofa and solid wood furniture designers allow users to create and buy from thousands of combinations with just a few clicks. The online designers provide accurate pricing information which helps users to order the designed furniture directly from the website. CustomFurnish team also helps with full house finishing scenarios where our designers work with customers to design and deliver furniture as per their requirements. A lot of firms today are venturing into customisation of products online, how has the market fared so far? Online customisation is a new trend in the market and especially furniture customisation. Every user has a dream to design his/her home per her tastes and preferences, and we are here to make her dream come true without any hassles. The idea of selling customised items is new to market and it’s gaining a lot of traction. Custom made furniture is a $20bn market which is largely unorganised and is not operating very efficiently. Were there any challenges faced by the company in the initial stages? The idea of customising furniture online and buying the same is relatively new and users have to be made aware of it. We have to build experiences that help user describe what they want without it being a daunting experience. Even non-tech-savvy users should be able to design and buy custom made goods online. What makes you different from other online players into customisation? Most of the eCommerce websites today are simple catalogues that list photos and details of items in some form. They offer very few options to design, which are also not shown live. CustomFurnish.com is one of the few sites where users can modify the furniture or completely create new designs by themselves online, and then buy them, as if buying a readymade item. Customers who have something specific in mind can easily bring their ideas to life without requiring offline interior designer support. We have a vertically integrated setup where this customised furniture can be manufactured and shipped to a customer’s location within a very short span of time. How do you compete with furniture players at the local level (brick mortar retailers)? We don’t have to come up with an offline store in every major city . . .it helps reducing the inventory and the real estate costs. Customers can customise and purchase goods from anywhere in the country, which helps us operate at scale from our centralised manufacturing facilities. Offline will be limited in rapid scale because of skilled manpower and inventory needs in every location they want to start the operations. How do you price a customised item, what are the factors that get into play while deciding on the prices? We have a dynamic pricing engine that helps customers get accurate price for the furniture they have designed. We have a mechanism to determine the price based on design, material usage, hardware requirements etc. The pricing for a design is transparently available on our website, unlike other vendors in the market, so customers know exactly what they are paying for. How has been the initial response? Our initial response has been encouraging. We are planning to expand our offering and also start shipping to various locations in the country very soon. Our goal is to help every user furnish their home as per their requirement at an affordable price. The initial feedback has been very encouraging and we hope to be the leader in online custom made furnishing space in the country in near future. Tell us more on the funding you have received and the areas you will utilise with it? We will be using the funding to expand our technology base, streamline operations and scale to multiple locations across the country. We have our own state-of-the-art manufacturing facilities. Our processes are optimised to produce custom made goods at scale. This helps us operate efficiently and pass on the cost benefits to the customer.